Star Wars: The Last Jedi is a certified hit. The film secured the second biggest domestic opening weekend of all time, after only The Force Awakens, and it earned the love of critics, falling at a 93 percent on Rotten Tomatoes. Fans also initially appeared to be firmly in the movie's corner, awarding it with an A CinemaScore. However, questions started to swirl when the Rotten Tomatoes audience score for The Last Jedi dropped below Fresh territory. While some online trolls have admitted to conspiring to lower the movie's score, the fact that it sits at a worrisome 56 percent has led many to question what could have made the movie so divisive. 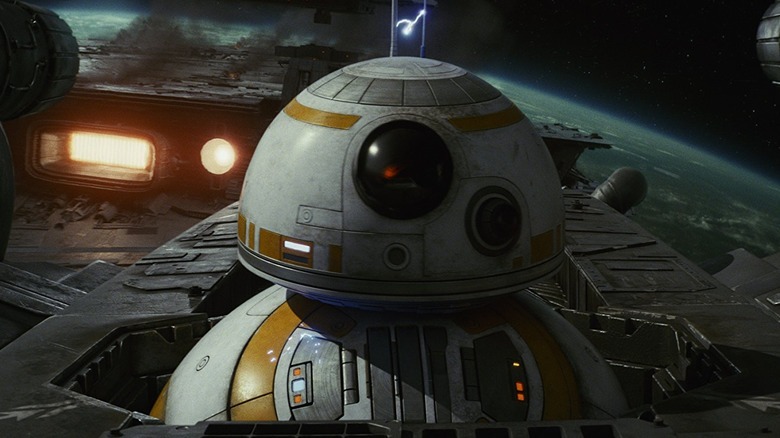 Although user ratings online are easily manipulated, the score has suggested that there are two sides of the coin when it comes to fans' reactions to The Last Jedi. Here's what may have left some audience members less than thrilled. 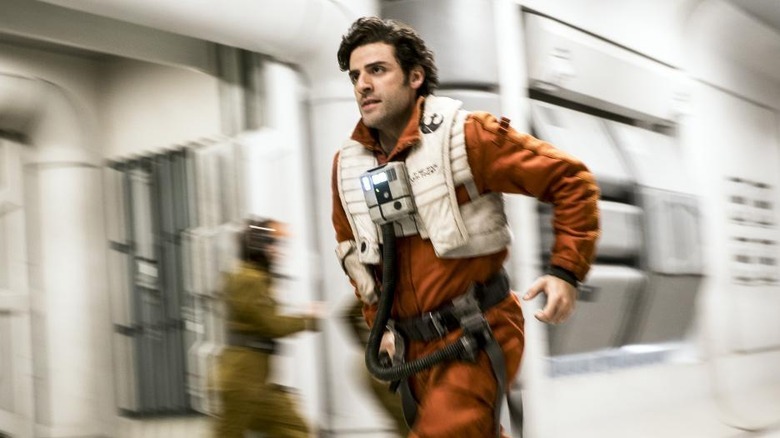 The Force Awakens was well received by fans, but one of the biggest critiques was that it was basically a retread of many of the larger plot points and themes presented in the original trilogy. The Last Jedi, on the other hand, presents something completely new and different. One Twitter user wrote that the movie is "great because it subverts any and all expectations one could have. It goes places you wouldn't expect out of a Disney Star Wars film, and proves that despite most blockbusters feeling the exact same and playing it safe, there can still be original quality films." Another said that they loved that everything turned out "messy and unexpected" and added, "It's brilliant about making you lose all your mental bets about how things are about to go." The movie's willingness to break with the past was frequently praised by critics, with the Rotten Tomatoes critical consensus saying that it "honors the saga's rich legacy while adding some surprising twists." 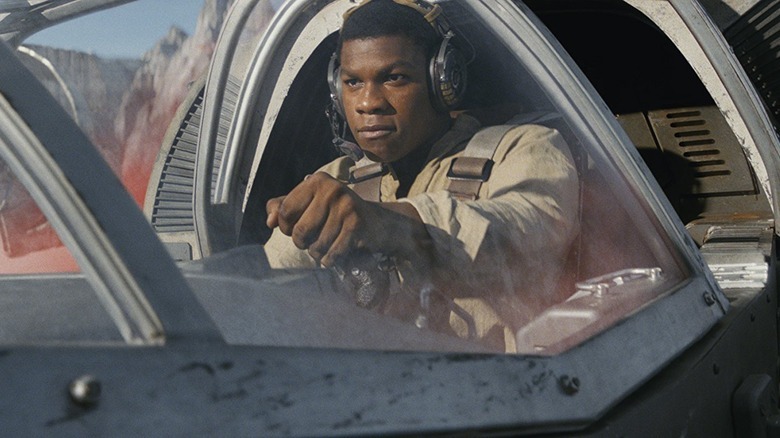 Terri Schwartz of IGN wrote that there was a scene that "is so stunning and unexpected that I don't want to forget how I felt seeing it for the first time," while Wired's Oliver Franklin-Wallis said that while the film was "imperfect," the unpredictability was "just what Star Wars needs." Of course, not all fans were that the movie strayed so far from the franchise's base. "It's not like Star Wars #TheLastJedi was original and fans didn't like it," wrote one Twitter user. "The problem was that it tried to be original but ended up being an unoriginal mess with no real accomplishments." Others said that the movie tried to do the unexpected at the sake of quality. One user on Rotten Tomatoes wrote that the movie "values unpredictability over setup and execution," arguing that "instead of building and enriching the things that were set up in the previous movie, it DESTROYS it and tries (unsuccessfully) to do its own thing." Still others took to social media to accuse Star Wars fans of just being too hard to please. Some called out fans who weren't happy with the fact that The Force Awakens was too similar to the original trilogy and the fact that The Last Jedi chose to do something else. "Both are great films," wrote one Twitter user. "Quit nitpicking fanboys, make up your mind." Star Wars has always been ahead of the game when it comes to visual effects, and The Last Jedi is no different. 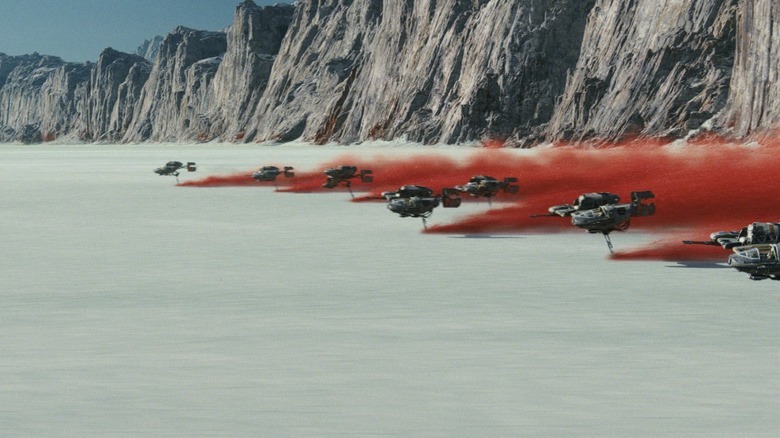 The movie is absolutely stunning, with Rian Johnson's eye for film apparent in the production design of Snoke's ship, the staging of multiple set pieces, and the final battle, which combines painterly touches (like the red trails kicked up by the Resistance skimmers) with incredible shots like the moment when Luke steps out to face the First Order's armada alone. Fans were solidly in favor of the visual spectacle. One Twitter user called them "state-of-the-art," while another said the movie provided "spectacular visual eye candy." The movie's visuals could be its best chance at bringing in some major awards—Lucasfilm could bring in some below-the-line nods for things like production design and cinematography at the Academy Awards come 2018. Star Wars: The Last Jedi clocked in at 150 minutes, making it the longest film in the franchise to date—15 minutes longer than 2015's The Force Awakens and over 20 minutes longer than each of the films in the original trilogy. It also beats out the recent standalone Rogue One: A Star Wars Story, which ran for 133 minutes, and it's longer than recent blockbusters like The Avengers (143 minutes), Avengers: Age of Ultron (141 minutes), and Captain America: Civil War (147 minutes). While many fans are happy to sit for extended periods to see films they love, for others, it's a turnoff. In The Last Jedi's case, many fans got the feeling that it didn't have to be that prohibitively long— there were places it could have been trimmed to help cut it down to a more manageable runtime. Even for a Star Wars fan, two and a half hours in a theater—not including previews—is a big commitment. One of the most impressive parts of The Force Awakens was its ability to introduce and establish a new, young, and diverse class into the Star Wars universe. The Last Jedi built on that by introducing new characters like Rose (Kelly Marie Tran), DJ (Benicio Del Toro), and Vice Admiral Amilyn Holdo (Laura Dern), all of whom quickly endeared themselves to many of the franchise's fans. However, some people had issues with the franchise's new characters. One fan called them "forgettable," while another felt that they were "useless." (Another had praise for Tran's Rose, but dismissed the others.) There was also a small subset of viewers who took issue with the fact that the episode introduced more diversity into the saga, with one Twitter user writing that all of the white men in the movie were either "evil or dead." Most fans, however, praised the change, saying it was great to see more representation in such a classic series. Making the middle movie in a trilogy is a difficult task. You don't have the benefit of taking time to set up the characters, and you don't get to resolve any dangling story threads. Some Last Jedi critics cited this as one of their biggest problems with the film, which at times felt like it was treading water. One of the biggest storylines that people took issue with was Finn and Rose's mission to Canto Bight. 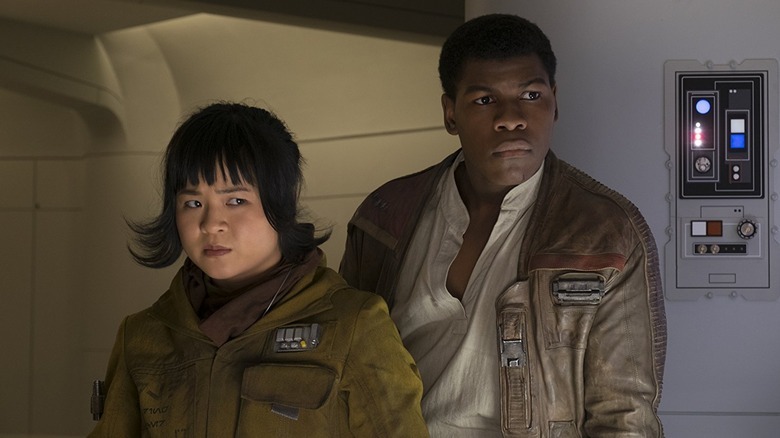 While the story helped to establish Rose as a character and gave Finn something to do away from the Resistance base, some viewers felt it ended up not having a major effect, leaving the characters basically back where they started by the time it finished. It's also especially difficult for The Last Jedi to be a middle chapter considering the lofty expectations set up by the second film in the original Star Wars trilogy, The Empire Strikes Back—one of the most highly regarded sequels of all time. Living up to it was no easy task. 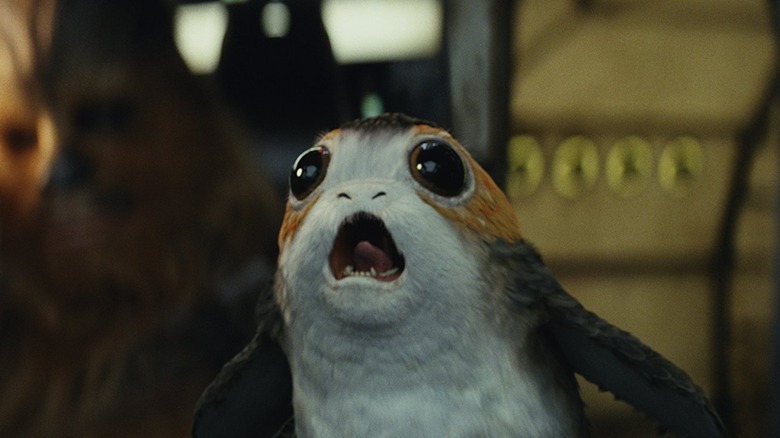 After the internet-breaking first look at porgs in action in the trailer for The Last Jedi, many fans worried that the cute little creatures would take over the show. However, in the end, some ended up accusing The Last Jedi of lacking in porgs, given how few of Chewbacca's fuzzy new frenemies showed up in the finished product. Considering how prominently porgs were featured in the movie's marketing material, many were probably expecting more, but in the end, they were more of a background feature. For those looking for some overwhelming cuteness, this may have been a bit of a letdown, but most fans appreciated that the animals stayed back and let the plot do the talking. Star Wars has a history of blending the light and dark, using its cheekier characters to introduce humor even in serious situations. However, some moments in The Last Jedi went a little far even for a Star Wars movie, causing some fans to accuse the humor of feeling forced and cheesy. 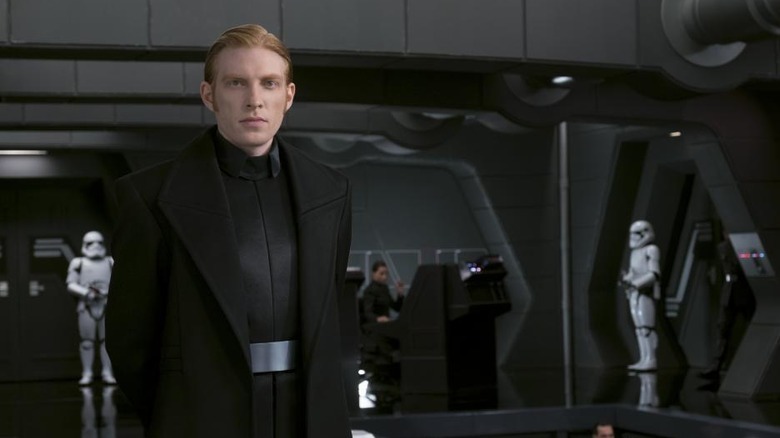 Some fans called out the film's opening scene, in which Poe (Oscar Isaac) places a call to General Hux (Domhnall Gleeson) as a distraction. 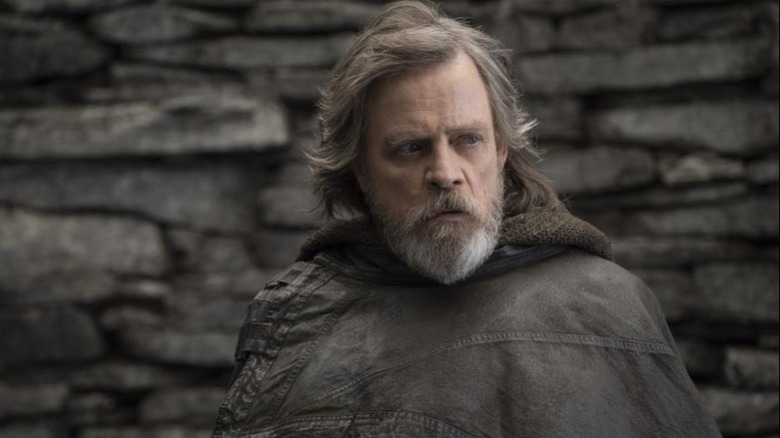 Others had issues with Luke Skywalker (Mark Hamill) milking an alien during his time on Ach-To, while one person said he was given too many "cheesy" one-liners. While some hated on the humor, others were definitely in favor of it, saying it brought something new to the franchise while still maintaining its well-established tone. However, for those who wanted Star Wars to stay more serious, some of The Last Jedi's lighter moments played wrong. 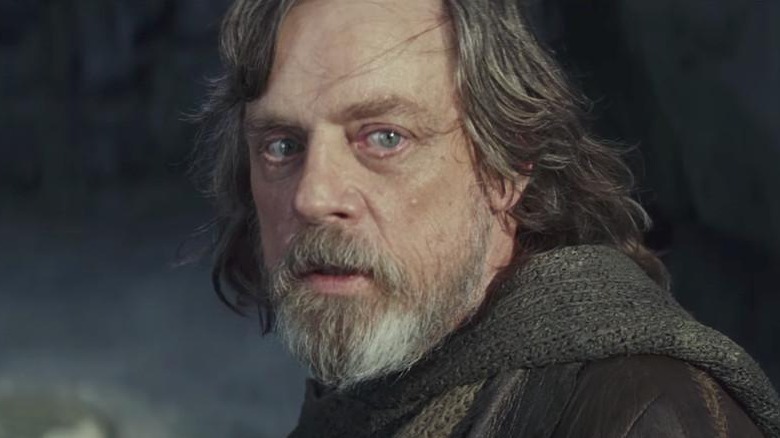 Much was made of Luke Skywalker's return in The Force Awakens, but many fans were upset when the character had only a few seconds of screen time at the end of the film. Luke was definitely back in the fold in The Last Jedi, playing a major part of the story. Many viewers were happy with the way in which the story handled Luke. 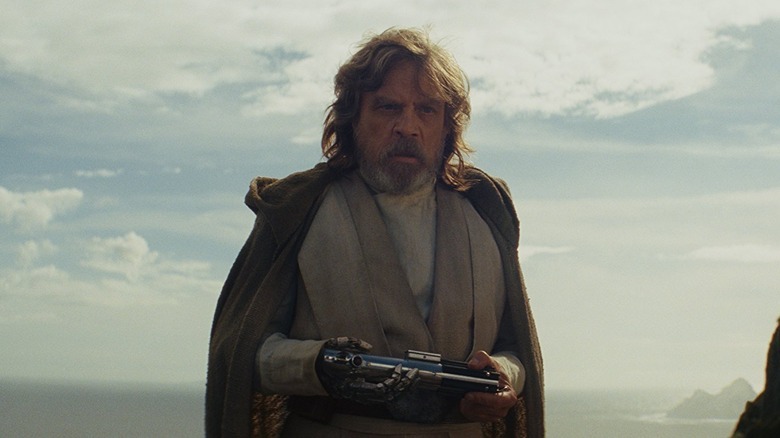 Although the character was older and wiser, making him different from the Luke everyone came to know and love in the original, one user wrote that Hamill "has never been better" in the part, while another said that they "really love" Johnson's direction for the character. Some have even called for Hamill to get an (admittedly unlikely) Oscar nod for the role. Also very controversial was the fact that Luke was ultimately killed off in the movie after using a phantom projection of himself for his fight against Kylo Ren. Many fans were hugely upset to see Luke go out in such a calm way, as opposed to the blaze of glory they wanted for their hero. One Twitter user called it the "lamest death ever" while another wrote that it was "honestly insulting." Adam Driver's Kylo Ren inspired many a meme after The Force Awakens, and it's likely that he'll become internet fodder once again for his performance in The Last Jedi. However, despite his emo tendencies, Driver's performance as Kylo was a standout in the latest film— and not just because of that much-discussed shirtless scene. One Twitter user wrote that Kylo "reach[ed] another level" through his developing relationship with Rey, while another said that Driver's portrayal was "the strongest, well balanced, and most nuanced villain" he'd seen in a movie in a long time. Another wrote that he "truly was incredible" and that everyone who raved about his performance was "not exaggerating." However, while many praised Driver's performance, some criticized where the character ultimately ended up, with one person writing that he was given "a great arc only to make him into a cookie cutter villain at the end." 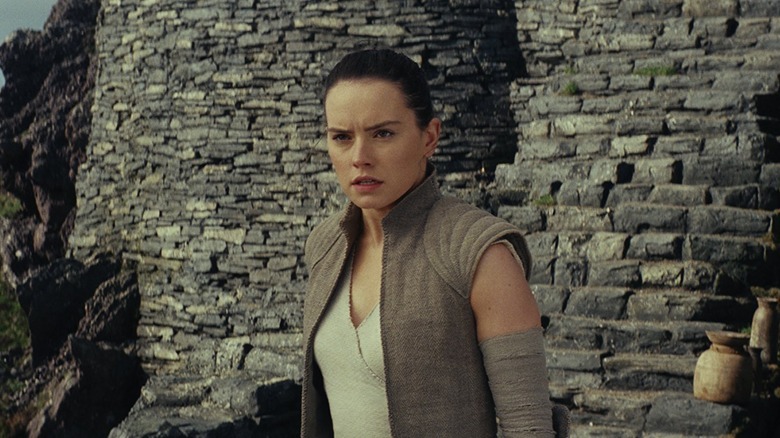 The Last Jedi finally answered the question of who Rey's parents are, but for fans who've been obsessing over her lineage for two years, the ultimate answer was a bit of a letdown. While some praised Johnson's decision to have Rey be the daughter of two nobodies, others were bummed to hear that she wasn't a Skywalker, Kenobi, Solo or otherwise. It's still possible that Episode IX will decide to negate the moment by revealing that Kylo was lying. 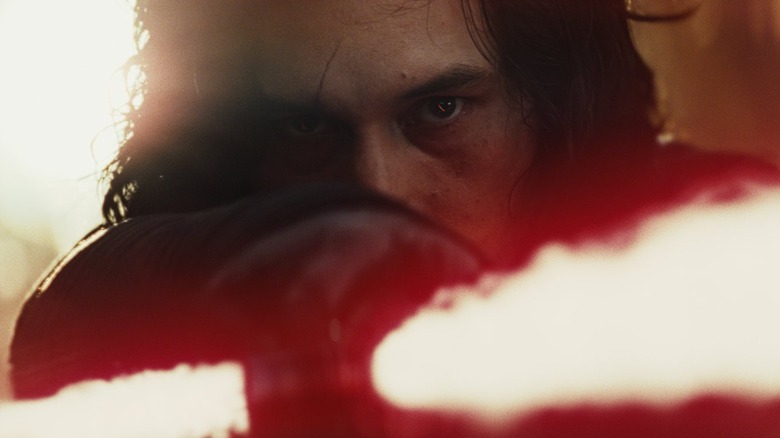 Johnson has said that he "can't speak" to what J.J. Abrams and Chris Terrio will do in the upcoming movie, but he did add that for him, in that moment, Kylo at least believes he is telling the truth. If Rey being born to nobodies does remain canon, it's sure to continue as a divisive point in the Star Wars fandom. Audiences like being surprised by movies, but they also like being proven right. In The Last Jedi's case, audiences had spent years pondering some of its biggest mysteries—who are Rey's parents? Who is Supreme Leader Snoke? 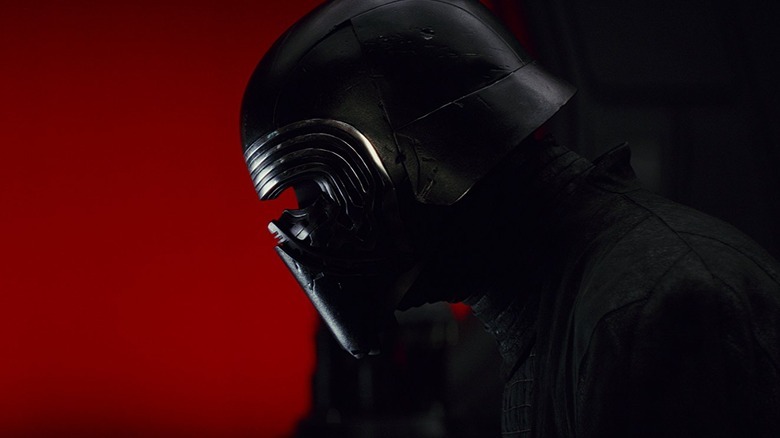 Are Kylo Ren and Rey related?—only to have the film shoot down many of their theories. For some fans, this was a good thing. Having a movie completely subvert expectations makes for a thrilling time at the theaters, and sets up even more unanswered questions to ponder heading into Episode IX. However, others took issue with the fact that the film flouted their expectations so much, especially because they felt like the end result didn't live up to what they thought might happen. Carrie Fisher's tragic death after completing The Last Jedi made many of her moments in the film as General Leia Organa even more poignant for fans. Leia's conversations about loss with Admiral Holdo and Rey seem eerily resonant in the wake of Fisher's death, as do her scenes with her real-life daughter Billie Lourde, who plays Lieutenant Connix. Some fans, though, took issue with Leia's use of the Force in the movie. The scene with the character floating through space was cited by some as beautiful, showing her character's resilience and finally answering the long-held question of Leia's abilities. However, others felt like it was cheesy and negated what could have been a powerful moment for the franchise. 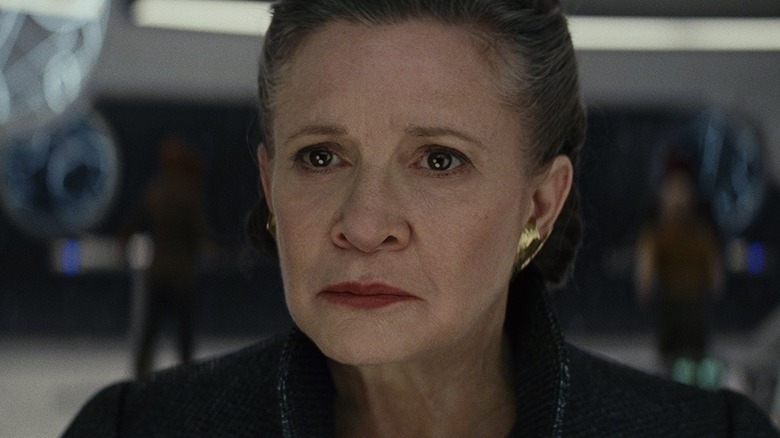 Johnson didn't change Leia's arc after Fisher's death, and while Lucasfilm president Kathleen Kennedy has said they won't use CGI to have the character appear in Episode IX, the question of her character's fate still remains unanswered. 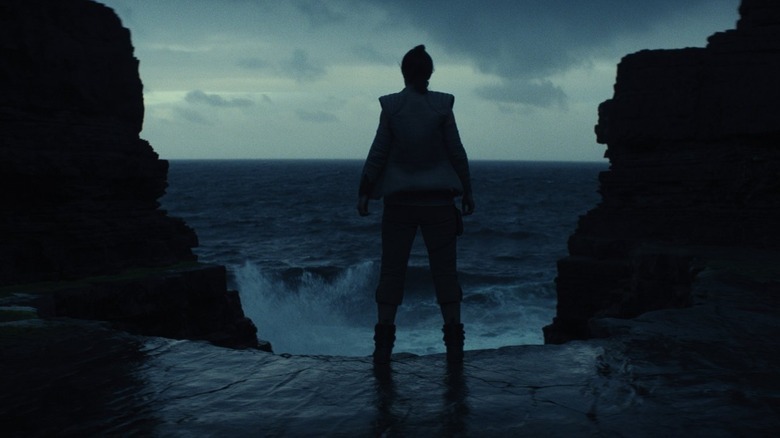 While no one expected the real-life circumstances the film had to deal with, losing a character so central to the series is sure to be difficult, and some felt The Last Jedi sent her out on a mixed note.